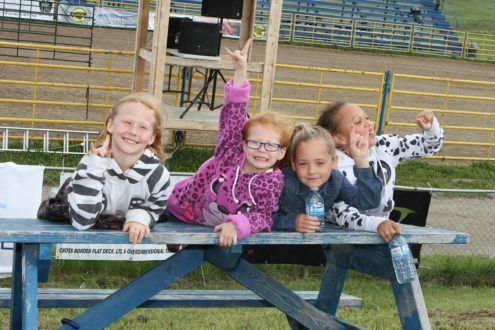 The 7th Annual Bikes & Bulls Charity Event was held at the Airdrie Rodeo Grounds, July 28 & 29, 2017. This unique one-of-a-kind event brings together motorcycle enthusiasts and bull riding fans for one awesome weekend at the Airdrie Rodeo Grounds. 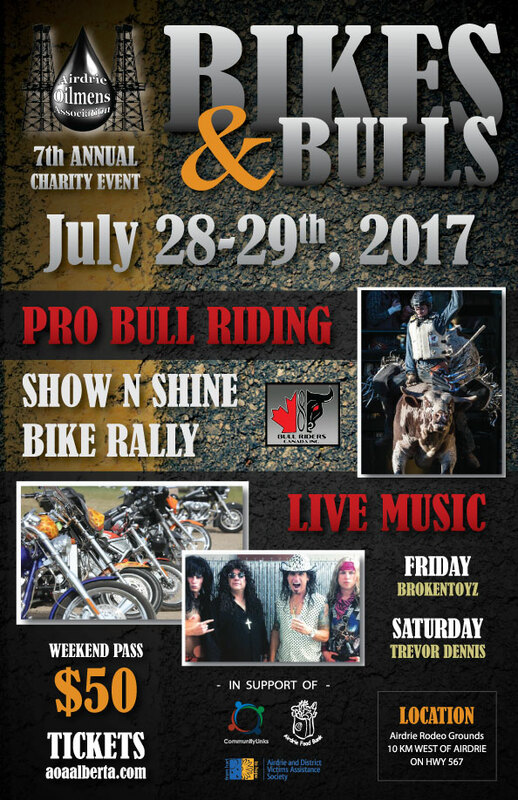 Featuring Pro Bull Riding, Motorcycle Rally, Show N Shine, Beer Gardens, Live Music on both Friday and Saturday evening. Kids are free and admitted up until 10pm under supervision. Pets are permitted but must be on leash and are only allowed at the campsite. No Pets allowed in Beer Gardens or the Rodeo Facility. 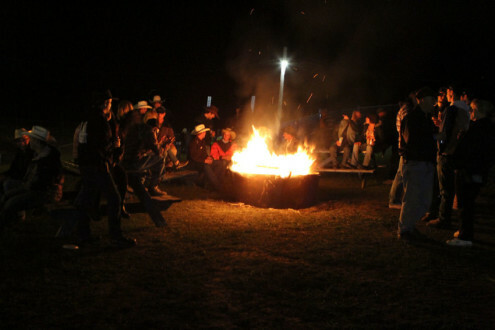 Camping is free and is on a first come first serve basis. No open fires, self contained fire pits only. Users must dispose of ash in provided garbage receptacle. No Dumping. No burning of pallets in campgrounds, as these leave nails and screws.